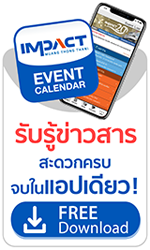 Bangkok International Motor Show is a 12 day event being held from 29th March to the 9th April 2017 in Bangkok, Thailand. This event showcases products like Focusing on a simple but solid brand message and delivering this message through the concepts of modern luxury, sensual purity and the Eight Modern Luxury Rules, the new theme brings the luxury car brand trade fair presence to the next level etc. in the Auto industry. VIP Day, March 27, 2017 Time: 12:00-20:00 hrs. Press Day, March 28, 2017 Time: 09:59-18:00 hrs. Mon-Fri, 12:00-22:00 hrs. and Sat.-Sun, 11:00-22:00 hrs.